Worried about hair loss, sensitive and ageing skin? 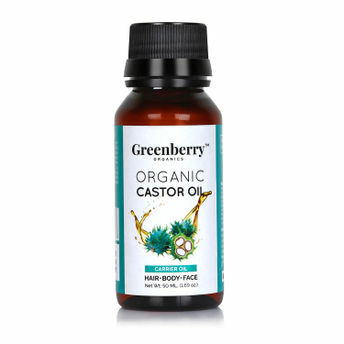 Completely relax and sit back as this Greenberry Organics Organic Castor Oil offers a one-stop solution for all curls and skin concerns. High in omega 6, it provides deep nutrition to the locks roots and follicles which helps in hair regrowth. This miraculous oil restores the natural moisture and balances the scalp, face, and body. Explore the entire range of Massage / Carrier Oils available on Nykaa. Shop more Greenberry Organics products here.You can browse through the complete world of Greenberry Organics Massage / Carrier Oils .Alternatively, you can also find many more products from the Greenberry Organics Organic Castor Oil For Face Body & Hair range.